Top 10 Tips and Tricks For Awesome Macro Photography. Digital Macro Photography is truly a fun filled and rewarding genre of Photography. Macro photos stand out among all different categories of photography as you bring never before seen details of the macro world into the photograph. The term photo-macrograph was proposed by W. H. Walmsley in 1899. 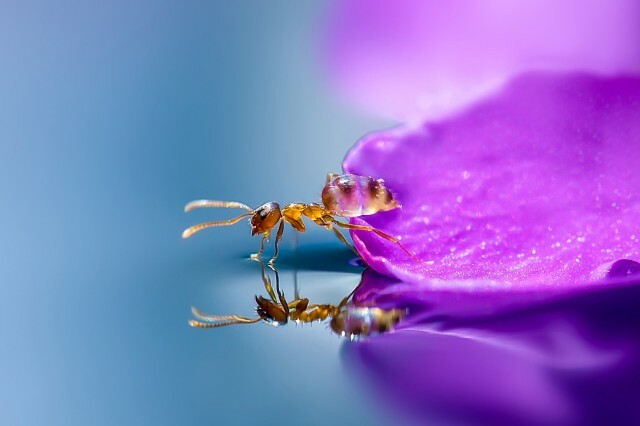 Macro Photography refers to the art of taking photographs of extremely small subjects like flowers, insects or any object and producing larger image then the subject itself. In this post we will learn about the art as well as techniques of macro photography in detail. Before we proceed, let’s check how do we define a macro photograph in terms of ratio ? Macro photographs are defined in terms of various ratios like 1:1 , 1:2 and so on. It is also called as Maximum Reproduction ratio (MMR). The reproduction ratio means the largest that you can make a subject on the film/sensor compared to its real-life size. Different types of macro lenses have different magnification and reproduction ratios. A macro lens with 1:1 capability will have greater details and resolution in the resulting photograph than a lens with 1:2 or more. A true macro photograph resolution is not defined but professionals consider only a 1:1 image as true macro. Lens manufactures have further complicated this debate by sticking ‘macro lens’ tag with just any lens which can shoot close-up images. Macro Photographs of Snowflake !! Here are the Top 10 Tips and Tricks For Awesome Macro Photography. Almost all the point & shoots and mobile phones come equipped with a dedicated macro photography mode in settings. But if you thing that is macro photography then you should change your perspective. They are no where close to the 1:1 magnification ratio. To be a serious macro photographer you need to get a DSLR and a dedicated macro lens which can capture 1:1 life size images. There are a few tricks too, like reversing your lens, adding extension tubes, etc which we will explain later in this post. A DSLR camera comes with larger sensor and many other capabilities which will help you take complete manual control over the photograph. If you don’t have a DSLR then you should consider getting one. In macro photography lens is more important than the camera itself. A true macro lens is the one which can produce 1:1 magnification ratio. You will be pleasantly surprised to know that there are a few lenses which provide upto 5:1 magnification ratio. That means 5 times the life size image of the subject with stunning details. One such example is Canon MP-E 65mm f/2.8 1-5X Macro Lens. 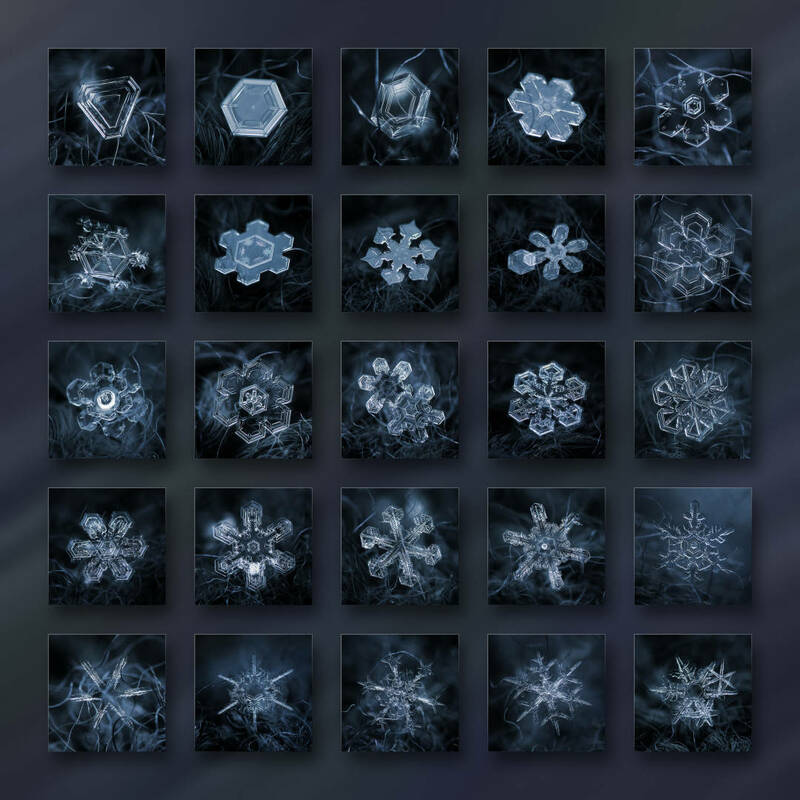 Just to put things in perspective to photograph the details of a snowflake crystals you need to go beyond 1:1. A 1:1 lifesize is the highest scale of magnification that most macro lenses are capable of. On a full-frame sensor, a 4mm snowflake will only fill about 2% of the image – we need to get closer than that. So you will need either a lens with greater than 1:1 magnification ratio or need to use some extension tubes. For all other purpose like photographing small isect or any subject a 1:1 will do a fantastic job. Here is a list of all Nikon & Canon macro lenses. Extension tubes are just hollow, light-sealed tube that fits between your lens and camera mount. 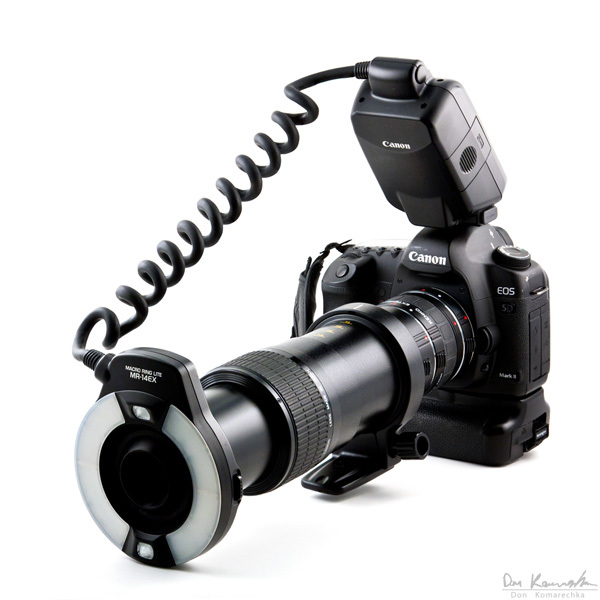 It moves your lens further away from the camera, and thus front element closer to the subject. The closer you can focus, the more magnification you get. They are either used to achieve greater magnification ratios or when one can not afford expensive dedicated macro lenses. But there are a few disadvantages of using an extension tube. Depending on the length of the tube you’ll lose some light in the process, around 1 stop for ~12mm, 2 stops for ~20mm. The depth of field is reduces, because you’re closer to your subject (if at the same aperture), getting your subject in focus might become tricky. You will loose ability to auto focus as there is no electrical connection between your lens and you camera. however macro photography is more about manual focusing. The good thing is that if you can not afford a dedicated macro lens then you can just buy an inexpensive extension tube and add it to your Standard Zoom lens to focus closer. Closeup filters act as simple magnifying glass and added to the front element of the lens to magnify the subject. However it will reduce the image quality and will also cut the amount of light entering the sensor. But they will cost you next to nothing and are fun to experiment with when you don’t have a macro lens. They have different powers like +1, +3, +5 and so on. The more the power, the greater the magnification but will decrease the amount of light entering the sensor. External Flash or Ring light. Ring lights are especially used for macro work. When shooting macro photographs the shutter speed and aperture combination is such that very small amount of light enters the sensor. Hence it will result in darker images. To compensate this we can use ring light or any other source of external light positioned correctly. Pop-up flash is not a good idea as it will make the subject look dull and flat and may also cast a shadow over the image as the subject will be extremely close to the front element of your lens.Now that we have understand the equipment and gear part, let’s focus on the other aspects. The most important aspect in photography is the subject itself. There are a variety of subjects which make fantastic macro subjects like insects, flowers, water droplets, coins, eyes or just anything small but intricately detailed. Choose a subject and start experimenting. Aperture is very important in macro photography. At 1:1 magnification ratio the depth of field (area in focus or focus window) is very small. To increase the depth of field you will have to choose a very small aperture. The smaller the aperture the wider the focus window. Most dedicated macro lens opens wide at f2.8 but that will give a small focused macro area. So go around f4 or f5.6 to increase focus area. However this will reduce the amount of light that is entering the sensors. You will have to compensate for it using external source of light or decreasing the shutter speed for a longer exposure. We will discuss shutter speed in next point. The shutter speed needs to be set in such a way that the resulting image should not get blurred due to motion or camera shake. Shutter speed depends on your setup, subject and whether you are using a tripod or not. For still subjects like coin or any object and camera being on tripod, we may use comparatively slower shutter speed like 1/60th sec and still get a sharp image. But for fast moving subjects like a butterfly or a flower swinging in wind we must apply fast shutter speed. Background is as important as the subject itself. It is important that the background should not include a distracting element. This will ensure smooth bokeh and will increase the impact of photograph. Try to frame the subject from it’s level which means getting parallel to the subject. Lie down on the ground for smaller subjects on the ground. You can use a black cloth in the background to isolate the subject against black background and similarly for white background. Learn our Complete Bokeh Tutorial here. You will need a lot of patience to get a good photograph. Spend some time on single subject than changing your subject after every few shots. Try different perspectives and angles. Be still when you shoot little creatures and be ethical. Do not make them pose for you. Shoot them naturally. Now that we have understood the basics and techniques. Lets talk a little about the right gear combination. but you will have to get extremely close to the subject. This may not be a good situation when you are shooting butterflies or some other insect. Here is one inspirational macro photograph to get you started. In the end it all depends upon you. Shoot a lot of macros and you will improve your skills over time. Keep searching for beautiful subjects. This was our Top 10 Tips and Tricks For Awesome Macro Photography. Do let us know in comments if you have any query. Happy shooting !! Hello Naresh, Canon SX50HS does come with the macro option but due to the limitations of camera and its optics you will not get a 1:1 macro result. However there are a few work-around tricks. a) You can either take the best possible shot and crop the image to enlarge the desired part of frame. b) Get yourself a Raynox DCR-250 Super Macro Snap-On Lens and use it on your SX50HS. However you will have to manually adjust focus and it is expensive. Thank you for your suggestions. Yes, that lens you mentioned costs approx USD 200.00 here in our currency. A pretty expensive proposition. I do have a set of close up lenses, of +1, +2, +4 and +10 which I have used with the Macro option in my camera. I am not sure if what I got is what you have mentioned, but they do look pretty awesome to me. Will keep experimenting….